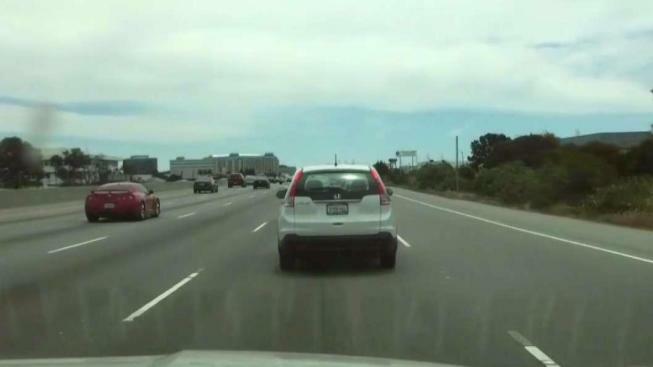 Caltrans is considering a massive construction project that would turn HOV lanes along the Peninsula into an express toll lane. "The population in this area keeps growing," Caltrans spokesperson Bob Haus said. "Unfortunately, there's not a lot of room to build." Officials said 200,000 drivers commute along Highway 101 on the Peninsula daily. If the plan is approved, the express toll lane would stretch from Highway 101 in Santa Clara County to the Interstate 380 interchange. The lane would be free for carpools, but solo drivers could pay a toll for a faster ride. "We can do some widening here and there, but mostly it's getting the most efficiency possible out of what you have," Haus said. In some areas where there is not enough room to widen the highway, Caltrans is considering converting a regular lane into the express. A public meeting to discuss the proposed project is scheduled Wednesday night at San Mateo City Hall. Caltrans said even if the plan is approved in the near future, the work would not begin for another couple of years.